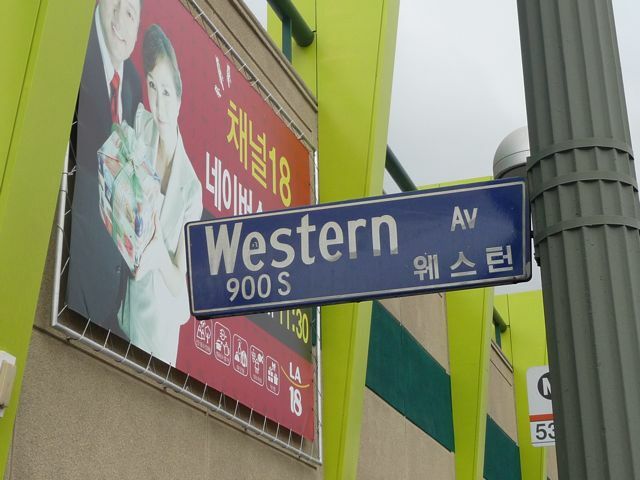 Los Angeles is home to the world's largest Korean population outside of Korea. 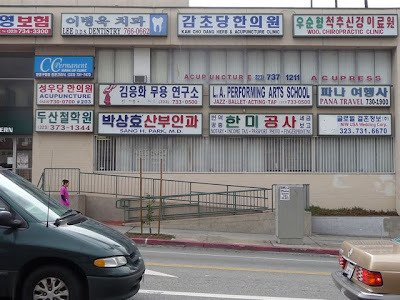 There are over 325,000 Korean-Americans in metro Los Angeles. 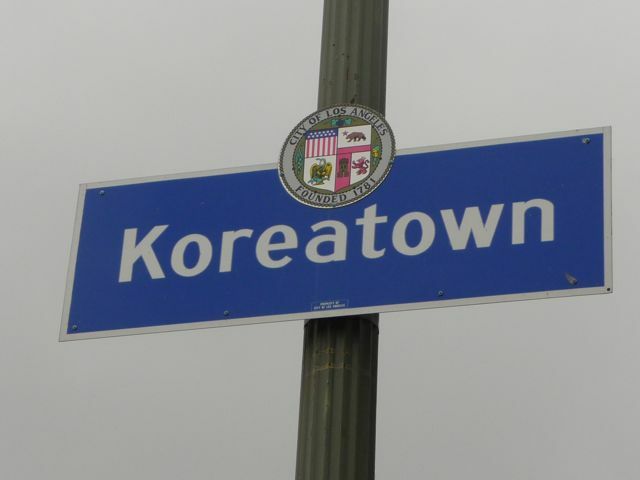 And the center of the Korean-American community is Koreatown, a three mile square neighborhood located in the mid-Wilshire district. 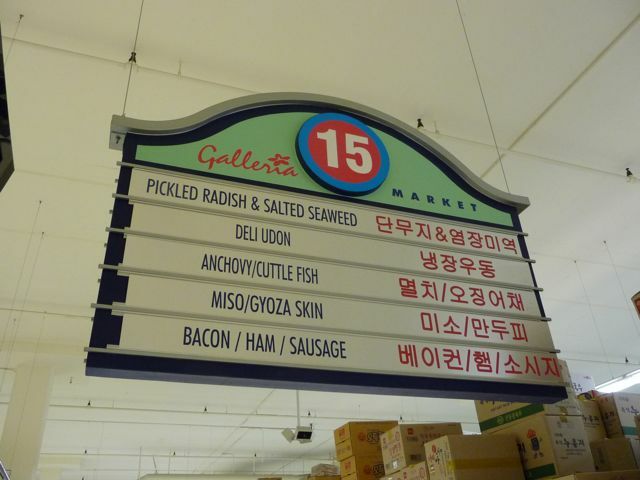 In November 2010 I was back in Los Angeles for a couple of days and had some time to walk through and explore Koreatown. 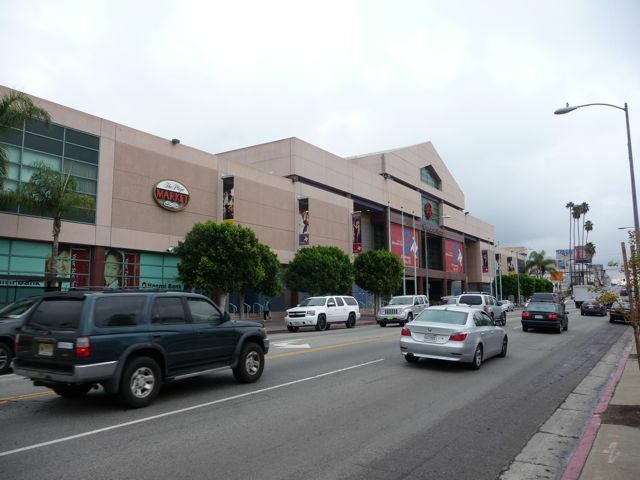 I parked at the Koreatown Galleria, which is located at the epi-center of Koreatown . . .
. . . the intersection of Western Ave & Olympic Blvd. 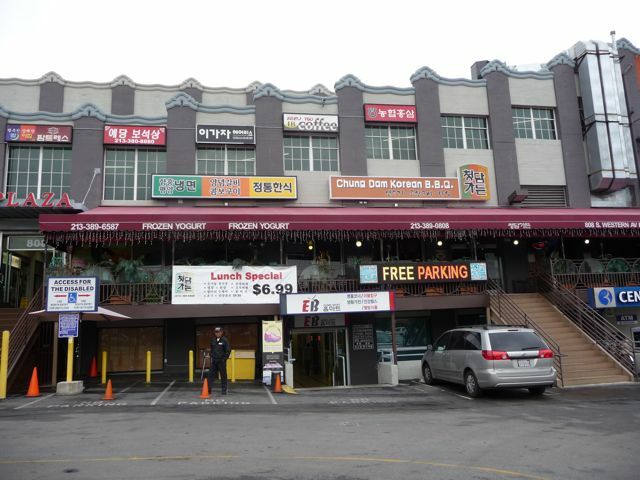 The Koreatown Gallery is a large, three story mall catering to the Korean and Korean-American community. It was pretty quiet when I was there (about 3pm on a weekday). 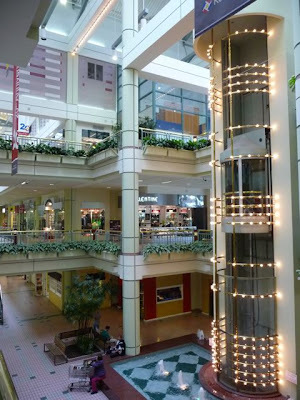 They've got an awesome food court upstairs on the third floor. I've eaten there numerous times and highly recommend it. 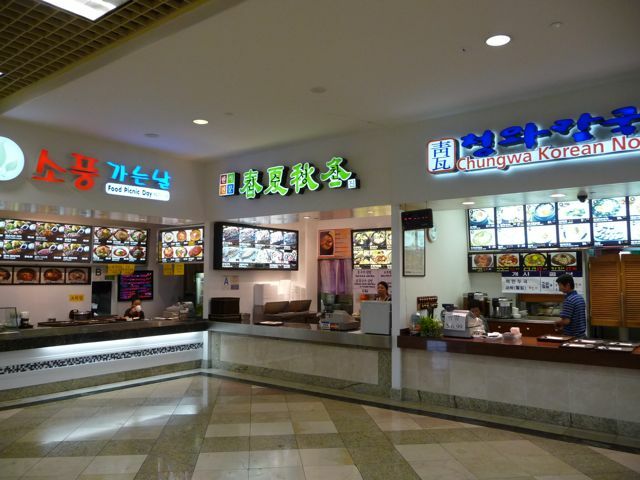 There are pictures of almost everything, which helps if you're like me and not familiar with Korean food. $3.99 lunch special - excellent deal! 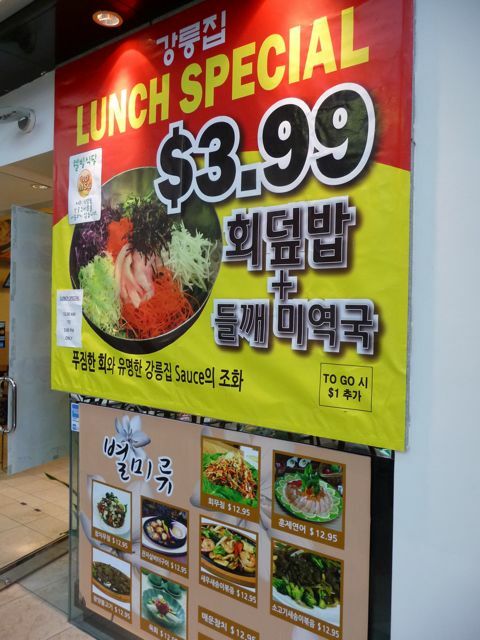 Great service, great prices, and great food. There's also an outdoor patio with a nice view to the south. 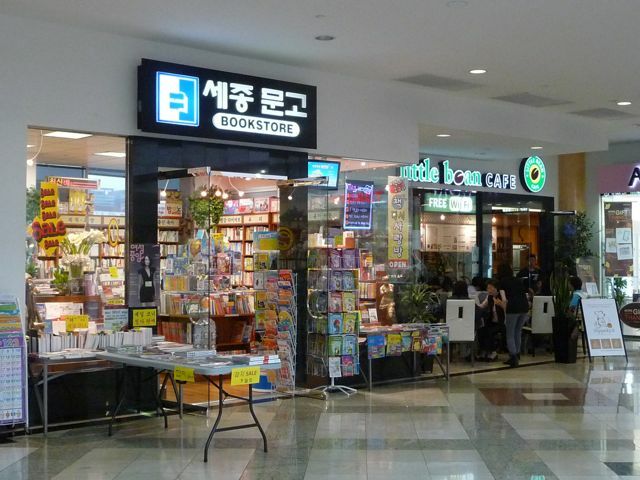 Korean book store and a cafe. A kiosk in the center of the mall selling study skill materials - all in English, of course. 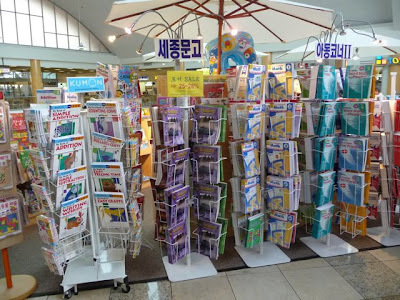 Aside from Rosetta Stone, I've never seen seen a display for study materials in any other mall I've been to. Different values and priorities. I think this is something the larger dominate American culture can learn from. 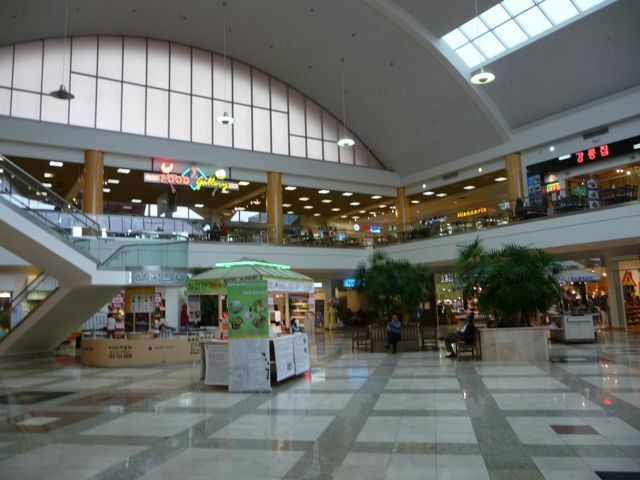 Downstairs on the first floor is a large, full-service super market. Fortunately for me, everything was bi-lingual. 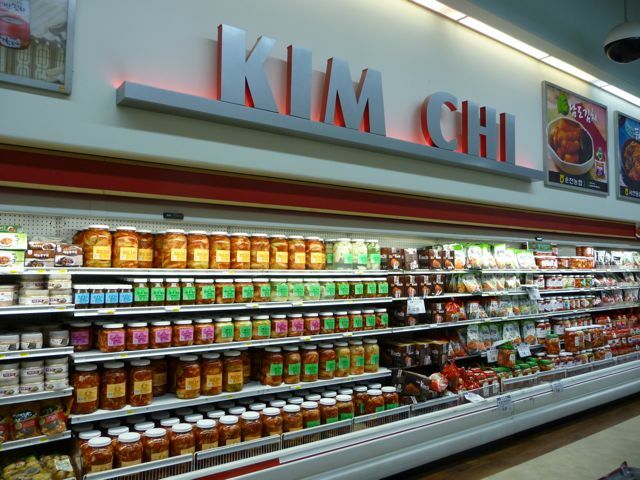 Huge selection of Kim Chi - spicey pickled cabbage! You haven't lived until you've tried it. Back out on the street, on the corner of Western and San Marino, signs for dozens of Korean-American owned businesses. Another block up Western was the "Koreantown Plaza". I just stuck my head inside to get a picture. 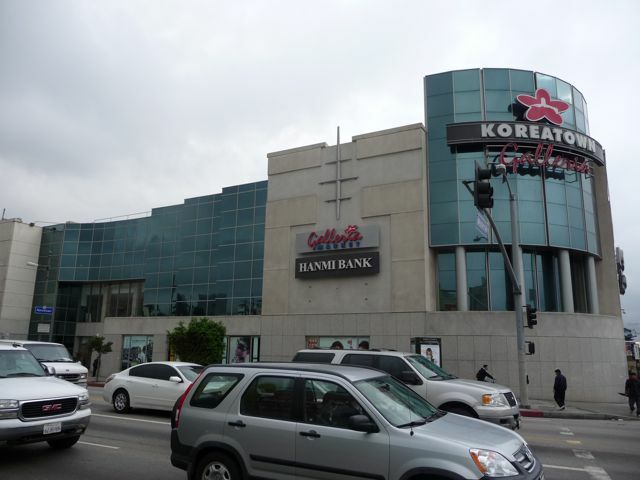 It looked larger and perhaps even more high-end than the Koreatown Galleria. Back out on the street were even more businesses. This is on Western just south of 8th Street. I honestly didn't see a single vacant store front anywhere in the area. Koreatown has given new life and vibrancy to this area of Los Angeles. More on Koreatown - including a walk along Wilshire Blvd - in Part II, next week.